Roar through the streets of Los Santos in the new Progen Itali GTB Custom, now available from Benny's Original Motor Works in GTA Online. This sleek jungle cat packs serious speed, devours tight turns with ease, and is sure to terrorize opposing racers across the circuit. Endlessly customizable, Benny’s latest includes options to modify everything from engine performance to the finest interior details. 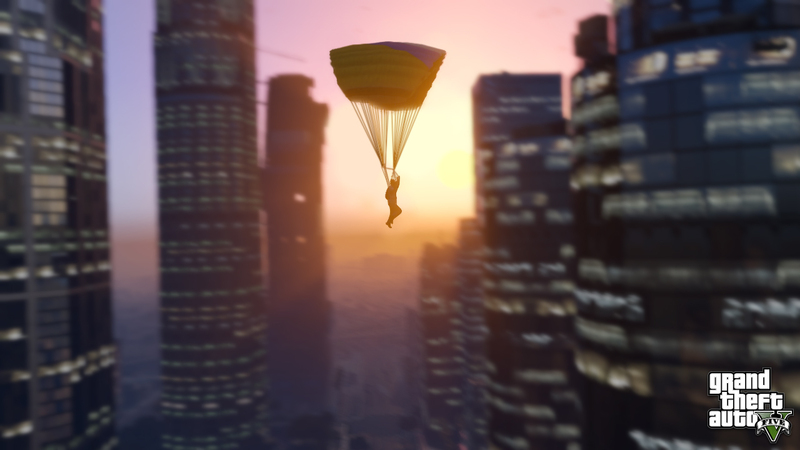 For the real movers and shakers of Los Santos, Benny now makes house calls. Qualifying executives can purchase the Custom Auto Shop add-on for their Offices and do their customizing from the comforts of their glass tower. 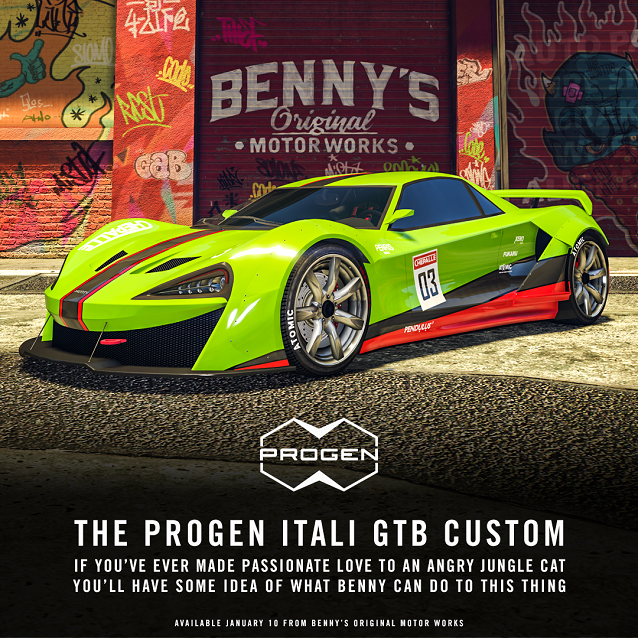 Progen Itali GTB Custom Now Available - A brand new super car comes to new-gen GTA Online: the Progen Itali GTB Custom.